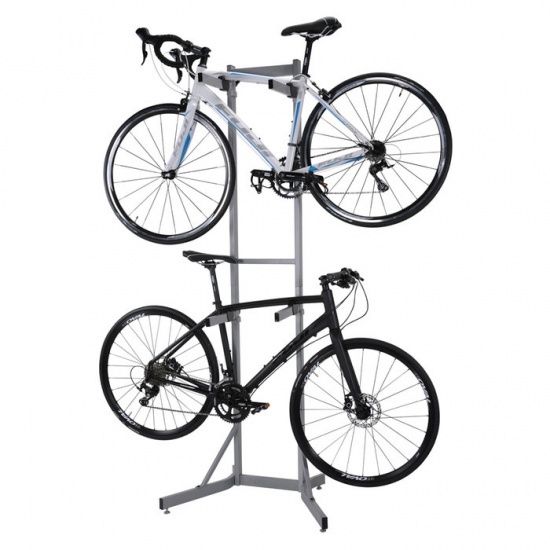 TransIt Bikes Aloft 2 Storage Rack Perfect for a garage, storage area, apartment or just about any place where you have some extra room, the TransIt Bikes Aloft 2 Storage Rack is a highly stable, steel-framed stand that'll support two bikes. The adjustable, soft rubber cradles protect your bike's paint job and accommodate all types of frames, even frames with steep sloping top tubes. Feet and tubing ends are finished with molded plastic fittings that won't scratch or damage floors. 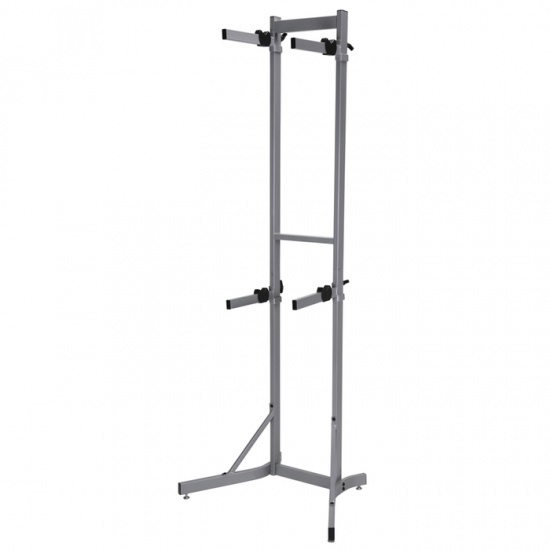 Freestanding rack is super-stable and easy to use Sturdy steel construction for lasting performance Adjustable, soft rubber arms hold 2 bikes Accommodates most frame styles Protective molded plastic fittings on feet and tubing ends Dimensions: 81 x 30 x 24"